Bertha was my husband’s mother. Like me, she moved to Greenville with her husband. She was originally from up north, possibly New York City. She was half Cherokee and half descended from African slaves in America, but she never spoke much about her life before coming to Greenville and raising her eight children. According to her husband she was a kitchen mechanic. He would sometimes sell her pies in the neighborhood. According to my husband, she didn’t use measuring cups or spoons to make any of the many treats he so fondly remembers. But his favorite was her pound cake. I got the recipe for Bertha’s Lemon Pound Cake from my niece, and have made it many times now. In spite of it being winter, we are getting about a dozen eggs a day. One way to use up eggs is to make this cake that calls for no less than seven. 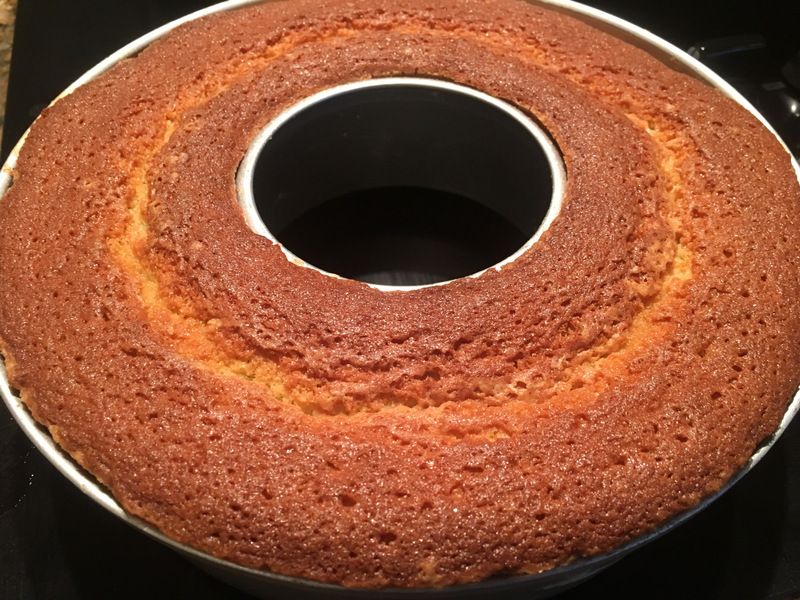 So last week I made a pound cake. 3 sticks unsalted butter (1 1/2 cups), room temp. 1 cup milk, room temp.